Melisa Quiñoy is an innovative and strategic thinker with a proven track record of building high performing teams, driving operational transformation, growing client base and delivering quantifiable results. She has over 25 years of high-level experience in media and advertising throughout the United States and international markets. 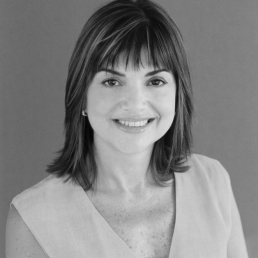 Most recently, as SVP of Media Partnerships and Business Development for A&E Networks, she built the “owned and operated” advertising sales offices in Miami, Mexico and Brazil, developed the regional, cross-platform, commercial strategy and oversaw the advertising sales operations across all Latin America and Brazil. was awarded the Ad Age Multicultural Agency of the Year. HP, Adidas, and Sony Ericsson. Earlier in her career she held various Account Management positions in advertising agencies around the world – from New York to Mexico to Australia working on blue chip accounts: Unilever, L’Oreal, Pepsi, Nabisco, among others. She holds an MBA from Columbia University and a BA in Economics from Cornell University.